It simply doesn’t get any easier to order quick print jobs! Your next print-order is just two clicks away. The deQuote app is downloaded and installed on the computer, just like a regular print driver. deQuote scans the document information from any program on a computer, and translates it into a printable PDF. The price appears just by hitting PRINT and choosing the deQuote printer – which is connected to the print shop. Choose quantity and paper quality, and then just click again to submit the order. 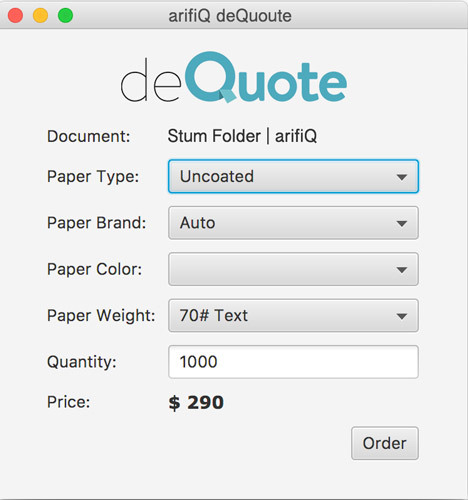 deQuote is for everyone who needs to print more copies, additional sizes, or higher quantities than what they can get from their office or home printers. In the background, deQuote connects to the arifiQ Estimating server. 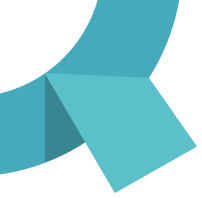 The arifiQ server sends the print job to the print shop, ready for production, with optimized impositions and customer data.